Some of our GMI missionaries have served for many years on foreign fields and then have switched their focus to literature ministries. We currently have missionaries located in the Minneapolis area who are working on literature for Portuguese-speaking people worldwide. Ken was born November 22, 1928, and accepted Christ as his Savior at age 12 under the ministry of H.B. Prince, who also challenged Ken to dedicate his life to ministry. Mary was born August 14, 1930, and was challenged by a godly mother to receive Christ at a very early age. 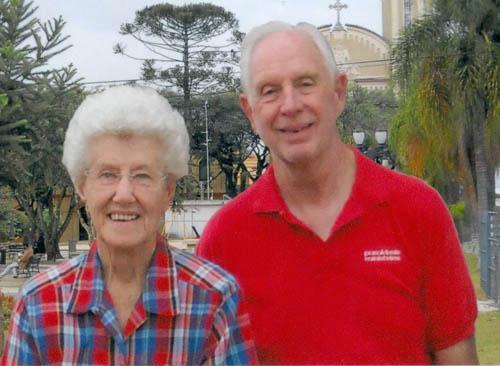 Through the influence of a concerned and insightful Sunday School teacher and a missions-minded pastor, she dedicated her life for service at the age of 16. Together they served as missionaries to Brazil from 1960 to 1996. In 1996, Ken and Mary returned to the States to write dispensational literature in Portuguese, and they continue that ministry today. To see more and donate to their ministry click here.